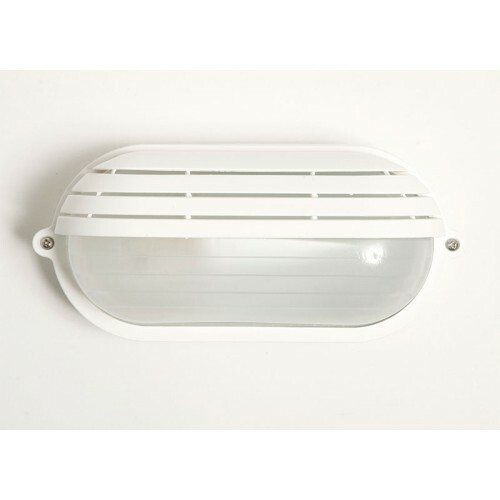 European energy efficient outdoor bulkhead in white with cover. 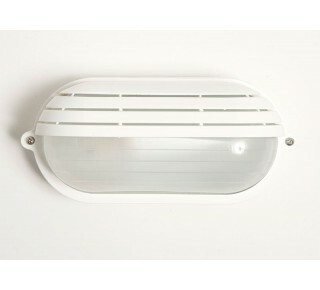 Made from polypropylene with stainless steel fasteners and a strong glass diffuser. Rated IP54. Width 230mm, height 100mm with 90mm projection. Uses 18w CFL.